Yes, now is better than never and we now announce that Python is among the supported runtimes in SAP Cloud Platform! Sometimes it may seem complex to learn a new language. Still, it’s usually better to get into such a complex situation and use the right tool instead of ending up in a complicated situation where you try to address different challenges with only one tool. Seems like an important goal of Python’s community is keeping the language fun and easy to use. For the fun part, one can tell already by the name which is a tribute to the British comedy group Monthy Python. As for the easy, I’m not an expert here, rather a newbie and I found a lot of Python learning materials for different levels of expertise. I guess Python is a good idea looking at it’s growing adoption. As of September 2018, Python is the third most popular programming language according to TIOBE Programming Community Index. Maybe it’s because it’s a suitable choice of technology for multiple cases: web development having multiple frameworks and supporting different Internet protocols, scientific and numeric computing with a set of math and data analysis libraries, and of course it’s a pretty famous choice when it comes to AI: be it general AI, machine learning, natural language, and text processing or neural networks. SAP Cloud Platform & Python? In SAP Cloud Platform Cloud Foundry environment you can deploy Python applications using the community Python buildpack. Python is one of those languages that are designed as highly extensible: there are more than 130,000 open-source packages that one can use, take a look at PyPi (Python Package Index). We have also SAP provided Python packages for e.g. security integration, libraries providing means to emit structured application logs and instrument web apps to collect request metrics, SAP HANA Database Client, etc. Wondering how to use the SAP provided packages? You need Python and pip installed on your machine. 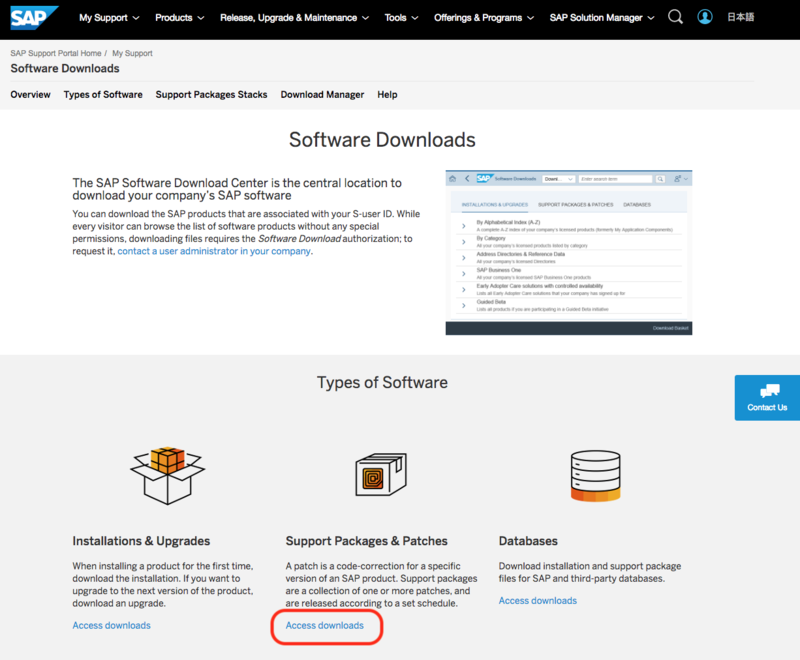 Login to SAP Software Download Center and select Access downloads located under Support Packages & Patches. In the search bar type XS PYTHON. 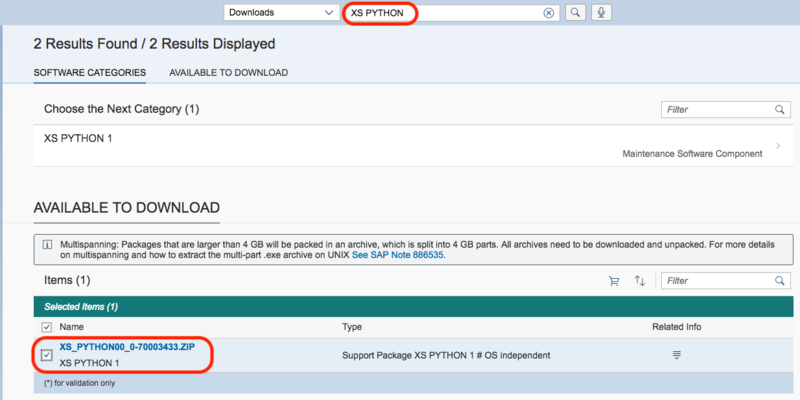 Download the XS_PYTHON archive – it contains the SAP Python Packages. Extract the zip in a directory e.g. sap_dependencies. Note: There are two important aspects to have in mind when you vendor application dependencies – the platform where your application will run (the operating system) and Python version. Option -r points to the requirements file which will be used to determine dependencies; -d tells pip to download the required dependencies in a folder called vendor in the root of your application; –find-links parameter points to the directory where you unzipped the archive containing SAP Python packages. And that’s it — you’re good to go. For more details about the contents of each SAP provided Python package as well as specific configuration tips, see the README file in the corresponding package. Want to learn more about developing and running Python applications on SAP Cloud Platform? Check out python documentation on help.sap.com. Is there a GitHubrepo for the library?